As our director mentioned, we are fortunate to have had the expertise and guidance of experienced and accomplished people in the field of education. Dr. Seethalaksmi joined as our academic mentor and is playing a pivotal role in guiding our team in the right direction. To further reinforce the process, Dr. Gayathri Deepak, our consultant lends her input to furthering the educational objectives of the school. Ms. Mallika Mani has led the teacher education process initiative this year. 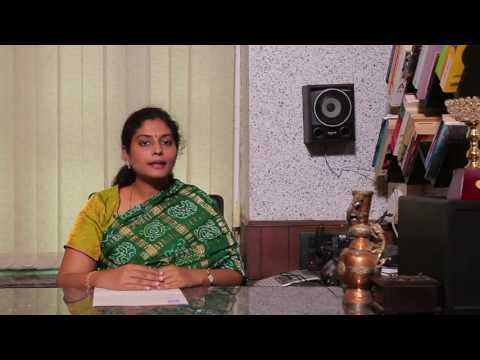 Ms. Bhuvana Kannan, who is familiar to most of you, took over as the Primary Head. While she still heads the Pre-Primary, Ms. Padma has been appointed as the Junior School Co-ordinator. Bhuvana Acharya has initiated processes to streamline the working of the Primary section and also to ensure a smooth transition from Pre-Primary to Primary. She believes that parents and teachers work collaboratively for the well being of the child. Internal positions were created in the school to better manage functionalities. Jasmine Acharya was our ICSE coordinator, Seethalakshmi Acharya, the middle school coordinator, Sarayu Acharya, the examinations coordinator, Hemamalini Acharya and Chitra Acharya were the activity coordinators. Ms. Vijaya Dhayakar took over as the Vice Principal while continuing to function as the ISC coordinator. A new initiative this year has been Maithree – a platform which brought together the management, the leadership team and the parent representatives, to share views, concerns and recommendations about curricular, co-curricular, extra-curricular and administrative areas for the benefit of the school. We thank all the parents who have been involved in this group, providing feedback, input and suggestions at all levels. Various measures were taken to minimize the weight of the school bags, especially in the higher grades. Some course material was digitized and extensive uses of smart boards were encouraged. We thank all the parents who helped with this process. The Fun Fest – a wholly parent driven annual charity carnival was organized last week amidst much enthusiasm, creativity and of course hard work by the parent community. Our Junior Campus received leveled side-walks and even roads thanks to the efforts of IAS officer Ms.Swarna, a junior school parent. We sincerely thank the Hari Shree parent community for standing by us as we redefined, restructured and refined school processes. We all waited patiently (and sometimes impatiently!!) as things settled down….. Knowing deep down that it will all fall into place to reveal a more effective, enriching and vibrant learning space where our children can blossom. To further this objective, our teaching staff was introduced to a professional development initiative, led by Srikriti – the teacher education team headed by Ms. Mallika Mani. Srikriti’s school based consultancy is anchored in contemporary theories of facilitating change and it focuses on bringing fresh insight into pedagogical practices at all levels. The team from Srikriti conducted cycles of teacher observation following which discussions and workshops were held on improving teaching methodologies and practices. Coming to our children, we have started a learning lab under the guidance of experts, to cater to learning difficulties in some of our children. The team is actively involved in curriculum-assistive content building for classes II to V.
In line with the school vision, our students move from ‘I’ to ‘We’ to ‘Our’. ‘I’ develop skills, ‘We’ work together, and then we expand ‘Our’ horizons. Along with our focus on academics, we have initiated a ‘Creative Expressions’ programme for classes VI and above to enrich the co-curricular aspect of education. Art, Music, Dance and Theatre are expressions of the boundless human spirit. At Harishree, we strive to help students understand the nuances of the arts during every stage of schooling. Students got to display their learning during festivals and celebrations happening at school and during the ongoing annual day celebrations. Since the busy students of grades 10 and 12 would not be able to participate in the annual day due to board exams, a platform called ‘Pradarshan’ was created to celebrate talent and create cherished memories filled with laughter and togetherness. The Physical Education department was streamlined, with proper curriculum planning and a structured programme with lesson plans. Children were engaged using age appropriate activities. A special effort was made to inculcate ideas like mutual respect, sharing, team spirit and collaborative play. Students of classes II to VII practiced yoga as a co-curricular activity. As an extension of the International Day of Yoga, the Yoga week encouraged students to appreciate the spirit of yoga and the importance of consuming natural foods. During the annual sports meet, students of class V demonstrated the ‘Surya Namaskar’. It is said that “Art has the role in education of helping children become like themselves instead of more like everyone else”. The art curriculum in the school aims to inculcate in students the ability to appreciate art and encourage creative expression. The art department has been active with designing age appropriate kinesthetic activities for the students. They also worked on art in connection with the celebration of special days and festivals. As part of SUPW, students of the Primary worked on theme based art and craft activities with special focus on recycling and ‘wealth out of waste’. We believe that the sensitivity and sensibility inculcated through the Art programme coincides with the school vision and is a vital link in the evolution of the Hari Shree student. Along with academics and co-curricular activities, at Hari Shree, we consider social responsibility to be a commitment every citizen needs to make towards society. The individual values and ethics involved need to be inculcated in young minds during their schooling years and with this as the primary goal, the school introduced an environmental awareness programme in association with EFI, the Environmentalist Foundation of India. Students of grades VI, VII, VIII, IX and XI were involved in this programme, facilitated by noted environmentalist Mr. Arun Krishnamurthy. During the course of the year, students realized the gravity and magnitude of environmental issues, particularly in the local context. Students of class VII visited the Adyar Poonga, an ecological conservation park in the Adyar estuary of Chennai. The Class VI field engagement to Adyar Poonga had to be cancelled due to rains. Students of classes VIII, IX and XI who had volunteered to be part of the Beach Habitat activity organized by EFI went to a beach stretch at Injambakkam to help clean up and prepare the area prior to the sea turtle nesting season this year. We continued the Interact Club from last year for students of grades X and XII. The Rotaract Club of Madras Temple City installed the fourth Interact Club in a formal ceremony attended by senior Rotarians. The Interact Club members participated in a coastal cleanup drive in an effort to encourage and educate people to keep the coastal areas and beaches clean. They led an initiative to source eco friendly Ganesha idols, which they marketed and sold in school. The intention was to create awareness on the importance of celebrating the Ganesh Chaturthi festival in ways that do not pollute our lakes, rivers and seas. The recent floods in Chennai left in its wake much misery and many challenges. The Hari Shree student, parent and teaching community came together in an attempt to extend a helping hand to the ‘Akkas’ and ‘Annas’ of the school who contribute everyday to maintaining the school environment. The 11th graders of the school, with the support of their teachers, organized a collection drive for dry provisions and daily essentials, which they sorted and grouped before distributing them to the ‘Akkas’ and ‘Annas’. We also saw certain processes take shape to maintain order and ensure safety. Officials from the Fire Department conducted a training session for the staff of the school and familiarized them with fire safety procedures. There was focus on traffic control outside the school gates; we have requested assistance from the Chennai city traffic controller in R.A.Puram to regulate traffic flow during morning drop off and evening dispersal times. Emails were sent out to parents on vehicle routes to be followed to ease the congestion outside the gates. We made a concerted effort this year to ensure that we communicate regularly with the parent community. The bonafide request went online to ensure a smoother facilitation of the process. ID cards were issued to students of classes VIII and above. It is proposed to extend this practice across grades PP1 to XII from the next academic year. Day trips were organized for all the Primary classes where they engaged themselves in activities, while enjoying a day away from school in the company of their friends. Students of Pre Primary went on their day trip in the company of their parents, teachers and friends and had scheduled ‘House Visits’ to their friends’ houses. Hari Shree and The Blackfen School in U.K have a long standing association; 8 teachers from our school have visited Blackfen so far. The visit in May by Ms. Sarayu and Ms. Bharathi proved to be yet another learning experience in cultures, traditions and lifestyles for both schools. In February, 10 students and accompanying teachers from Blackfen visited Hari Shree and spent a day interacting with the staff and students of our school. Some students of class VIII participated in a video conference with St.Monica’s school in Australia. The 60 minute session saw the students exchange notes about their respective communities on topics ranging from waste management in their schools, racism and bullying to ceremonies and festivals based on belief systems. The dialogue was facilitated by the Tony Blair Faith Foundation. Let’s now take a look at core academics – the ICSE and ISC results for last year. We were pleased with the performance of our students in the 2015 Council for Indian School Certificate Examinations. At the ISC level, Aravinth .P emerged as the school topper in the Science stream and Siddarth P.Chokkalingam topped the Commerce stream. At the ICSE level, Rakshitha Arun topped the school. The 5th ICSE batch from Hari Shree Vidyalayam saw 41 students appear for the board examinations and the school recorded an overall average of 86.31%. The 2nd ISC batch from the school had 14 students appear for the boards – 10 from the Science stream and 4 from the Commerce stream. We achieved an impressive school average of 90.5%. Srikrishnaa, P. Aravinth and Yeshasvini Gopalan, ISC students who graduated from Hari Shree in 2015 were among ISC’s top 1% achievers in the March 2015 council examinations. They were awarded a scholarship for higher education instituted by the Government of India. They will receive Rs.80,000 every year for the next five years. Two students were accepted for undergrad studies at noted universities abroad. We are proud of our former students and congratulate them for their note worthy achievements. Our teachers and students did us proud this year by bringing in awards and accolades to the school. Our Science teacher, Shashikala Varadarajan won the prestigious Global Teacher Award instituted by the British Council and the Cambridge Education Foundation. This award is recognition for high quality professional practice and it was Shashikala Acharya’s quest to equip her grade 5 students with the skill to identify nutrition in food that won her this award. Our academic year was enriched by guest lectures which were organized across grades and subjects. Students of secondary school had sessions varying from thermodynamics, recombinant DNA technology, rain water harvesting to Vedic literature. Economics and Business studies students had a career counselling workshop by Trinity College, Dublin. There were also workshops on soap making, growing up and acceptable and non acceptable behaviour. As part of the Annual Medical Camp at school, a team of doctors and nurses from Chettinad Health City conducted a medical check up for all students from PP1 to Grade XII. A Dental Hygiene workshop was conducted in school for the students of primary to stress on the importance of oral hygiene and healthy food habits. Teacher workshops included a communications workshop by Creashakthi and a workshop on the methods of identifying and handling learning disabilities. There were also professional development workshops by Dr.Gayathri, Dr. Seethalakshmi and Ms. Mallika Mani. Students were given the opportunity to develop their leadership qualities through the Student Council. Following a traditional ballot election, the investiture ceremony saw the members pledging to take up the responsibility of upholding the reputation of the school. The year was also made memorable by celebrations, culturals and festivals. Hari Shree hosted its second inter school cultural, The Vizha, which saw the participation of over 150 students from 15 schools. We conducted the 2nd edition of our Model United Nations Conference, an excellent opportunity for students to debate on current world affairs and hone their leadership, public speaking and management skills. Over a 100 delegates from 12 schools attended the CHSVMUN. SPICMACAY organized a wonderful performance in school by Manipuri Drum dancers. The Annual Sports Day and the Junior Sports carnival also were met with enthusiastic participation on the part of the students. Celebrations during festivals like Ganesh Chathurthi, Pongal, Diwali and Christmas lend a festive atmosphere to our campus whereas events like the Hindi Day, Tamizh Day and Geetha chanting kept us rooted to our culture. The Primary classes had circle time every morning- an intimate gathering with the class teacher whereas theme based special assemblies involving all the primary classes happened every Friday. We now look forward to the 3rd edition of Varnajala-our annual art exhibition which will showcase the creativity of our students across grades PP1 to XII and exhibit the work of our teaching, non teaching and admin staff. Harsh Yadav of Grade 10 won the ‘Academic Excellence Scholarship’ (AES) for 2014-15 from Tamil Nadu and Puducherry zone. The Academic Excellence Scholarship recognizes and rewards excellence in academic performance and is awarded to the student scoring highest cumulative marks in 3 Olympiad exams from his/her zone. ALLEN CHAMP is an initiative by the ALLEN Career Institute in Kota, Rajasthan, to honour and mentor students from classes V to XII who are recognized across the globe for being a prize winner of any prestigious examination, event, Olympiad or competition organised at the national or international level. Siddharth Sridhar of our school was declared 1st in the Class IX category and awarded a 10 gm gold medal, a championship trophy and a cash award of 1.5 lakhs. Class ten students did exceedingly well in the ASSET examinations and won prizes for outstanding performance in the following subjects. ASSET (Assessment of Scholastic Skills through Educational Testing) is a scientifically designed, skill based assessment. It measures how well skills and concepts underlying the school syllabus have been understood by the student. As part of ASSET 2014-15, Karthik Eshwar, currently in Class VIII, figured in the list of top 12 students nationwide for classes VII and VIII. He was awarded the ‘ASSET Talent Scholar Gold’ award and his picture and details were published in the ASSET brochure for 2015-16. Siddharth Sridhar participated and won the first place in the National Finals of the Geography Olympiad conducted by the IBGB Learning Society. The event was held in Kota on April 12, 2015 and Siddharth participated in the senior category. The competition, which included a preliminary written round and a final oral round, saw him win a gold medal, a trophy and a laptop for his achievement. Our students did exceptionally well in the Australian National Chemistry Quiz (ANCQ) and many of our students were awarded the High Distinction certificate. Srinivasan R Sharma and Harsh Yadav of Class X scored 100% and in addition to a certificate, they were also gifted watches. Siddharth Sridhar and GokulVenkatesh of class X were awarded High Distinction Excellence certificates. Harsh Yadav and Srinivasan R Sharma are featured as ‘Star Performers’ in the ANCQ brochure. 28 students qualified to participate in the 2nd level of NSO, the National Science Olympiad, 8 students have qualified to participate in 2nd level of NCO, the National Cyber Olympiad and 40 students have qualified to participate in the 2nd level of IMO, the Mathematics Olympiad. Our U-10 team won the PSBB KK Nagar Interschool cricket tournament in which 12 city schools participated. The Hari Shree Vidyalayam cricket team participated in an Under 16 tournament which was held at the Palmyra Cricket Ground in Pondicherry. After winning all 3 qualifying matches they went on to win the finals also. In the U-12 team participated in a cricket tournament conducted by Chettinad Vidyashram. The team lost a keenly contested semi final match. Our students participated in the 2nd Interschool Football tournament at Primrose School in the U-11 and U-14 boys categories. In spite of a tough draw, the U-14 boys made it to the semi finals where they lost a well fought match. In the U-11 category, our boys competed with 13 other teams in the city and played some scintillating games. Scoring 8 goals throughout the tournament, the Hari Shree team reached the finals and became runners up after giving a tough fight to the winning team. Salaikiranamali. S of Grade V was declared the Best U-11 player of the tournament having scored 5 goals in all. S.J. Advaith of class III Sarang participated in the Krishnaswamy Memorial Chess tournament and won 6/8 rounds in the Under-8 category. He was placed 12th in the final standings, out of nearly a hundred participants. In the regional competition, Harmony, conducted by Tgelf, in Padma Seshadri Bala Bhavan K K Nagar our students participated in a series of competitions and won prizes in the following events. Anivridh Haribabu of Class IX was awarded the Best Speaker award at the Model United Nations (MUN) organized by the APL Global School. Krithiyaa. S and Ashank of class VIII participated in the St.John’s Public School cultural event – Rangoli Fest 2015 and won the first place in the collage event titled ‘Amalgamation’. For the Quiz competition, Dathatreya, Vaghul and C.Divya of class V won the second place. Riddhi of class IV won the fourth place in the craft competition where she made a pop up greeting card. Second place in Creative Writing – Revathy Iyengar of Class XI, she received a cash voucher of Rs.250. Our students won the following prizes at the AMM Tamizh Vizha held on 11th July. In the senior category, Anirudh S. of Class X won the first place and Pranav Arcot of Class VI won the second place. Our students participated in Rhapsody Culturals organized by DAV school and won prizes in the following events.